What Services Does Your Sapulpa Dentist Offer? Every patient has different needs. 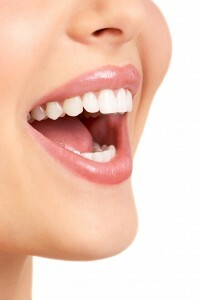 That’s why your Sapulpa dentist offers such a comprehensive range of services. Whether you need general, cosmetic, or restorative care, your local Sapulpa dental office has services that can help. Which of these services is most right for you? Your Sapulpa dentist will help you decide with a simple checkup and cleaning. We recommend that every patient see their doctor twice a year for regular care. Why is regular care so important? Because common oral health problems like gum disease and tooth decay need to be caught and treated early. Plus, with a professional cleaning, your Sapulpa dentist can help you get your teeth cleaner than is possible with just brushing and flossing alone. How long has it been since you last saw your Sapulpa dental team? Call Complete Cosmetic Care Dentistry to reserve an appointment or ask us a question about the services we offer. We’re proud to offer general, cosmetic, and restorative care to patients from Tulsa, Bixby, Sapulpa, Glenpool, Jenks, Okmulgee, Mounds, Keifer, and beyond. Comments Off on What Services Does Your Sapulpa Dentist Offer?